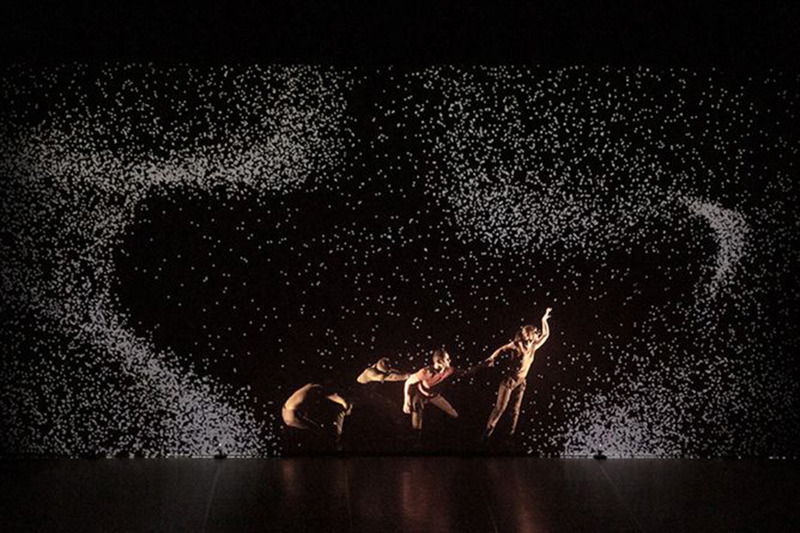 “Pixel” is a digital-era dance piece created by French choreographer Mourad Merzouki and digital designers Adrien Mondot and Claire Bardainne, known collectively as Adrien M / Claire B. The piece was also done in collaboration with hip-hop choreographer Cie Kafig. The hour-long piece is “a work on illusion combining energy and poetry, fiction and technical achievement, hip hop and circus.” The dance performance at Maison des Arts de Créteil France on November 15th and is currently on tour.